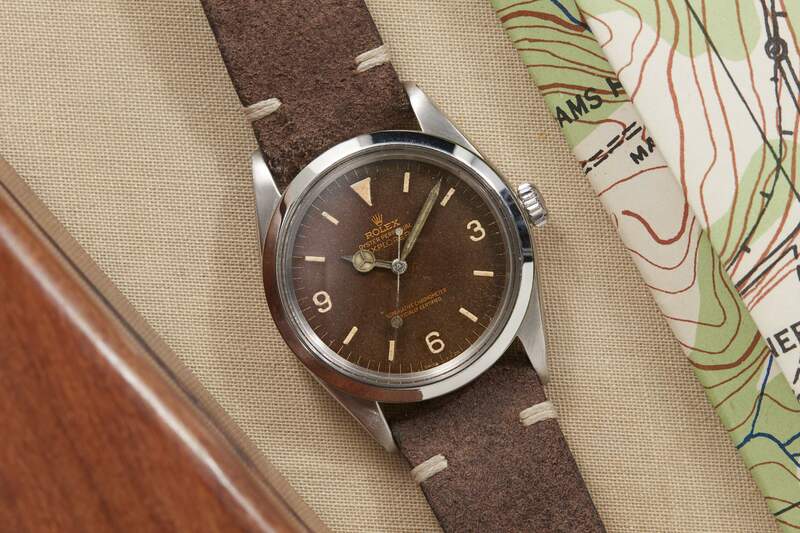 There is nothing I can say about the 1016 Rolex Explorer which has not been said already. It’s one of the most understated yet important references of the Swiss Manufacture’s history. It sports a plethora of famous owners, every day wearability, dress potential, and (most importantly) humility. The 1016 might just be the most tasteful reference ever designed. For all their storied history, 1016s are not exceptionally rare. In age, most simply yellow a bit on the tritium. What is not often seen is the kind of delicious coffee tones the dial on this example sports. Analog Shift offers much more detail on their page. I don’t often feature references purely for the patina, but every now and then I am convinced to make an exception. The highly tropical dial tones here speak for themselves.